Apply the petal fold by repeating the steps #9-15. 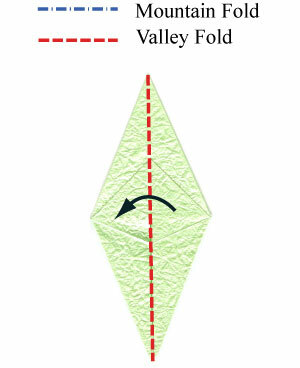 Prepare to valley-fold the frontmost right layer. 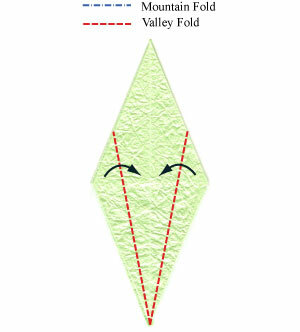 Valley-fold according to the step #27.